Long Beach Airport (LGB) restricts passenger pick ups but not drop offs, according to a telephone conversation I had with the airport security manager this morning. I contacted LYFT regarding a recent text that said LYFT drivers may no longer drop off at LGB. By their response this appears to be a policy of LYFT, not Long Beach Airport. As a driver on the Lyft platform, it's important that you know and follow airport regulations. While we've worked hard to reach agreements with certain California airports like San Francisco, there are other California airports where we do not currently have permission to operate. If you conduct any operations at a prohibited airport (see Prohibited Airports section below), officials are issuing citations and Lyft is prevented from covering any costs for those prohibited airport rides. Even if you conduct permitted operations at an authorized airport (see Permitted Operations section below), you still must follow airport regulations (e.g., trade dress). If you get cited for violating airport regulations, Lyft is not responsible for these citations. As a driver, you are responsible for the cost of any such citation from the airport. Failure to comply with airport regulations may result in a deactivation of your driver account. Thank you for staying compliant, and respecting our agreements with airport officials. Let airport administrators know that you want Lyft rides reinstated in all California airports by signing the petition. Click the list below to see the status of our operations at California airports with permitted drop-offs or pickups. Click the airport's name to see specific rules and regulations for providing pickups and drop-offs. At all other California airports, operations are currently prohibited — including pickups and drop-offs. This includes (but is not limited to) all airports in the list below. Drop-offs can be trickier. Click below for tips on how to handle requests for prohibited airport drop-offs. If a passenger asks you to take them to a prohibited airport, here’s what to do to make the conversation go smoothly. Apologize, and politely cancel the ride. Worried about your acceptance rate? Let us know if you had a cancellation. We'll remove it from that day's summary. Carpooling is one of the most popular services transport network companies like Uber, Lyft and Sidecar offer, but it faces a problem. Under California law, paid carpooling is prohibited. Assemblyman Phil Ting (D-San Francisco) is hoping to change that. Introducing AB 1360 on Monday, Ting said the bill would change a Californian law written in 1961 that doesn’t allow passengers in a commercial ride to each be charged separately for sharing the ride. Transport network companies such as Uber, Lyft and SideCar launched their carpooling services in California last summer. Shortly afterward, they were notified by the Public Utilities Commission that existing law did not allow their carpooling business model. While the PUC did not outright prohibit TNCs from continuing their carpooling services, it recognized that the Legislature had to update state law to authorize multiple passengers to share rides and split fares. Ting described the existing law as “archaic,” and said the new bill would be “win, win, win” for consumers, drivers, and the environment. “In less than a year, thousands of California residents have helped get cars off the road, lessen congestion and improve our environment and now the California Legislature has the opportunity to embrace this innovation by codifying this service and adopting AB 1360,” said Uber spokeswoman Eva Behrend. Lauren Faber, the Environmental Defense Fund’s West Coast political director, described the bill as “common sense” and praised Ting for introducing a bill that would ultimately benefit the environment. AB 1360 is one of several Transport network company-, or TNC-, focused bills introduced to the California Legislature this session. It joins AB 24, a bill that increases the safety and background check requirements for TNC drivers; AB 886, a passenger privacy bill that requires TNCs to destroy personal data associated with terminated customer accounts; and AB 1422, which allows TNCs to participate in the DMV Employer Pull Notice System and check the driving records of its partner drivers. When your passenger gets out of your car, thank him for riding with you and tell them that you are giving them 5 Stars. This will remind them that drivers rate them and if they got good service from you they will hopefully give you 5 Stars too. This post on a Uber Driver Facebook page caught my eye and it goes to proves something that I have been saying to fellow ride share drivers for the past 6 months. The LA area has a feature on Uber called Uber Pool. It allows multiple riders to split the cost of the ride as long as they are going in the same general direction. A passenger requested an Uber Pool ride and when he got in was surprised to see another rider in the car. He reported it to Uber. The problem is here is that when it comes to driver relations, Uber lacks not only people skills but in many cases people with brains. An Uber worker may read this, not fully understand that this was an Uber Pool related issue and send the driver a warning or, at worst, deactivate him for having another rider in the car. When someone jumps in to join in the Uber Pool trip, it might be advisable to introduce him to the other Uber Pool rider and say that he is traveler in the same direction sharing the cost of the ride with your new passenger. If the new passenger balks suggest he steps out and cancels the ride and order an Uber X for a private trip but warn him that he might be charged for the cancellation. Two days ago the most feared thing that could ever happen to a TNC driver happened to me, I dropped my smart phone on the sidewalk and shattered the display. Fortunately I had a scratch protector on the display and a cover but because the city had recently paved the street there was gravel on the sidewalk, which shattered my display screen. I called a Star Tek in Long Beach and they told me to bring it down. When I got there I found out that the screen was not in stock but they offered to order a replacement. The next day when the replacement arrived I got a call from them, Ubered on over and they replaced the shattered screen in a matter of 30 minutes. If you are in Long Beach, CA and the same thing happens to you, fear not. For about $160 you can be up and running again. 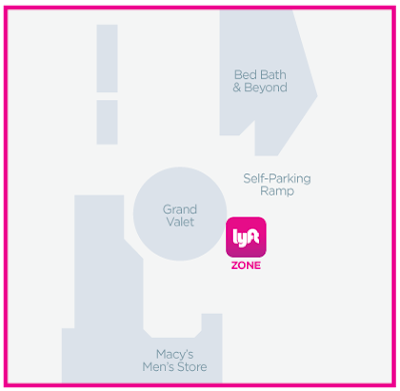 Lyft has announced that they have partnered with the Beverly Center shopping mall to create a Lyft Zone: an area where passengers can conveniently get picked up and dropped off. Start Driving and Earn Cash! Drivers in Long Beach are earning from $20 to $35 (or more) an hour. Riders can TIP drivers right from the app. Much less stressful than driving for that other ride share app. Increase your ride potential if you drive for that other ride share app. This is like fishing with two baited lines. Run both apps and shut down the other as soon as you get a ride request. Much less waiting between rides!! Use this link to sign up and get a sign in bonus! Bonus rates vary at time of sign in. A rumor were posted on the Uberdrivers group on Facebook this morning alleging that Farmer Insurance agents were telling drivers that Uber was going to deactivate them if they are not covered with the new GAP policy, which was mandated by the state as of July 1, 2015. As an iRumorMill.com Internet investigator, this caught my eye so I sent an inquiry to the Uber Partners office in Los Angeles. No worries, I have checked on your concern and can confirm that there will be no deactivation for drivers happening in line with the issue of mandatory gap plan. We will surely send you emails for any updates on Uber. If I can help with anything else, please let me know. Maintaining a 5 Star rating appears to be the biggest challenge for drivers. If ratings drop below 4.6 drivers could face deactivation. Uber floods the market with drivers and are very happy to finance their new cars, at a cost of $125 a week and up, but if the driver rating drops below the high performance expectations it could mean game over for the driver. Some tips on keeping high ratings. Contrary to what the training videos say, call the rider when you get the request as you are driving toward them. Sometimes the NAV apps are inaccurate so a call to confirm their pick up location betters your chances of a happy rider. When you get to the pick up and they are not outside waiting, call them after a minute to say you are there, give your location, and switch on your emergency flashers. Telling the rider you got the flashers blinking helps them to find you better. When the riders get in the car, welcome them and ask their name. I usually say, "Welcome aboard (rider name), I am (driver name) and if there is anything I can do to make your ride more confortable please let me know. When you begin the ride confirm the destination. Do not rely on the NAV apps to get you there. Ask the rider if they would like to navigate you to the destination. You do not get paid enough to supply snack and water. Also if you do airport runs you do not need to clutter up the trunk with a snack shop. I usually keep one bottle of water in the trunk for emergencies. The number one mission is to get the rider to the destination in a safe manner. Do not speed, obey the laws and drive defensively. Sometimes riders are in the back seat conducting business on mobiles. Be observant of what they are doing and if they want to chat go ahead and do so. If a driver can only work 4 hours a week, Uber is not for that driver. All it takes is a 1 Star review from a rider to toss you out of the ball game if you only do 4 or 5 rides. Uber will deactivate the driver, suggest a $60 class and a probationary period for the driver to bring up the ratings. If this happens to you and you wish to continue driving for Uber you must be ready to drive 25 to 30 hours a week to bring up and maintain high ratings. I know of a case where a preschool teacher started driving during Spring break. She had 5 passengers one weekend, got 4 five star reviews and 1 one star review from a foreign business man who did not know the area and expected to be taken to his destination and a fraction of time that it normally takes. Her rating dropped way be low the average and got deactivated. She took the class, took up her ratings but after Spring break returned to teaching school with anticipation to drive Uber over the Summer break. Two weeks before the end of school she got a deactivation from Uber because she did not maintain her driving over the weekends. Sometimes the a trip to the local Uber office to plead your case may get the driver reactivated. Local staff are nice but they do not have the power to make any changes. French taxi drivers have blocked the roads to Paris airports and the main ring road around the city in a protest against Uber, prompting riot police to fire tear gas at some. The drivers set up blockades and burned tyres as part of a nationwide strike. Barriers also appeared around Marseilles and Aix-en-Provence in southeast France. Uber, a US taxi app, has been expanding its UberPOP ride-sharing service in France despite government objections. Images from Marseille and Paris showed cars overturned and tyres burning in the street. Aeroports de Paris, the operator of the French capital's Charles de Gaulle (CDG) and Orly airports, warned passengers to travel by train. "Access by road is completely blocked," the company said on its website. "The only way to get to CDG is (by train)." With traffic at a standstill in places, some travellers walked along the side of the motorway to reach the airport. Musician Courtney Love Cobain appeared to have been caught up in the violence. She tweeted saying her taxi had been ambushed and protesters were "beating the cars with metal bats". She also of her taxi spattered with egg. Taxi drivers also blocked access to Marseille and Aix train stations and protested on the main access to Marseilles-Provence airport. The drivers - who have to pay thousands of euros for a licence - say they are being unfairly undercut by Uber, which is not licensed by the authorities. Prosecutors have cracked down on Uber, filing almost 500 legal cases involving complaints about UberPOP. About 100 attacks on Uber drivers and passengers have been reported in recent weeks. "Many taxis drivers are infuriated," Abdelkader Morghad, a representative of the FTI taxi union, told Bloomberg. "We're demanding that the Thevenoud law, which clearly forbids unlicensed drivers, be implemented. There's a lack of political will to do it." The law, which came into force in October, bans services that put passengers in touch with unregistered drivers. Uber has appealed against the rule, arguing that it gives licensed taxis an unfair advantage. According to Mr Morghad, France's licensed drivers have lost between 30% and 40% of their income over two years because of the growth of Uber. The San Francisco-based firm says it has a million users in France, including 250,000 for its basic UberPOP service. Uber also operates a luxury service which is not banned. Uber has faced similar teething problems in cities all over the world, with traditional taxi drivers protesting against being undercut by the unlicensed company. But licensed taxi drivers have been criticised for being slow to adopt the app-based geolocation technology behind Uber's success. Question of the week: Should I report a ticket for driving and using a cell phone to Uber? Has anyone ever gotten a ticket for using their cell phone while driving for Uber? Should I report it to Uber, fight it, or just pay the fine? Personally, I wouldn't because I do not think it is Uber's responsibility to pay a driver's ticket if he breaks the law. The primary mission of Uber is safety and as drivers we should know our local laws. Phone mounts are not that costly. There is a nice variety of them to mount on windshields, dashes and air conditioning vents. There are also a nice variety of hands free devices that a driver can use with a cellphone. I personally like the LG hand free blue tooth device that hangs around my neck. It has an easy to access on switch so I can switch from speaker to head set. Bottom line, I think it is cheaper to invest in a hands free unit than risk getting a ticket. Some states have fines as low as $25 ticket, but what the news media fails to report is that some municipalities add on fine assessments. I got a ticket about 8 years ago that put me into sticker shock. The city of Long Beach added assessments that took my fine to about $70. Driving passengers is an awesome responsibility, which many of us may take for granted. We should always place safety first. EARN A SIGN IN BONUS AND DRIVE FOR LYFT! Depending on Navigation Apps can sometimes result in disaster. Often, riders will pin their locations instead of manually typing in the address where they are. This could cost precious time locating them. It is a good habit to call the rider to tell them you are on the way and to confirm the pick up location. When the rider gets in the car, welcome them aboard and ask them to confirm the destination, which hopefully they have already entered into the app. Ask them if they prefer a route or would like to navigate you. Tap the navigate button on your app and mention that sometimes the navigation app will suggest an alternate route when there is a build up of traffic. Always go with the rider's preferred route. Some apps are better than others and so far Waze seems to offer the best information for drivers. Waze allows drivers to enter pot holes, vehicles along the side of the road, and police activity. If you are suddenly in traffic it may even suggest a quicker alternate route to get your destination in a more timely manner. I recently pulled into the IHOP parking lot across the street from John Wayne Airport to use the rest room and I saw a Uber driver sitting in his car with the engine running as he was waiting for a ride request from the airport. I introduced myself and we talked for a while about business while all the time his engine was running with the air conditioner keeping him cool. I asked him how he liked his BMW for driving TNC and he said that he hated it. The dealer told him he would get 29 MPG but now it seems that he is only getting 19 MPG. I had to wonder if he will ever catch on that you have to shut off the motor to improve mileage. Drivers picking up and dropping off passengers at John Wayne Airport should know the rules. Otherwise, one of the many officers stationed there will be happy to tell you about them. Tonight I got off with a warning for picking up a passenger at the departure terminal. 1 Uber, Lyft and Wingz are the only permitted TNC's at John Wayne Airport. 2 Trade dress must be visible on lower right corner of windshield. 3 When dropping off, drivers must exit the airport. 4 Waiting at the airport for passenger requests are not permitted. 5 Passengers may only be picked up at the Arrivals level. Act (CEQA), Class 1 (Existing Facilities) pursuant to CEQA Guidelines Section 15301. Operating Permit to interested Transportation Network Companies. and regulatory issues associated with initiation of TNC Services at John Wayne Airport. and regulatory issues associated with initiation of TNC Services at John Wayne Airport (JWA). Carriers that operate at JWA do so pursuant to an airport-issued ground transportation permit. TNCs authorizing their operation in California. transportation services similar to existing services already provided at JWA. and ensure equal treatment of all Charter-party Carriers operating at JWA. dropped off and safely exits the vehicle and vehicle has exited Airport Property. passenger has exited Airport Property. whether the TNC Vehicle is carrying a passenger. readily identifiable within fifty (50) feet as being operated by Permittee as a TNC. for each Passenger Pick-up made by its Drivers. or Law Enforcement) on the TNC Application. thirty (30) day, month-to-month basis, until revoked or cancelled as hereinafter provided. and Drop-off activity on Airport Property. iii. Date, time and geographic location of individual Pick-ups and Drop-offs. vii. Number of active rides in TNC Vehicle upon entry and exit. promptly provide such information to Airport as requested. with the permit terms and the operating requirements established by the CPUC. remaining in the TNC Vehicle following ride completion. of active TNC rides remaining in the TNC Vehicle following Passenger Pick-up. following Passenger Pick-up or Drop-off. Agreement will result in termination of this Permit. regarding what steps (if any) were taken to resolve the passenger complaint. rules and regulations governing TNCs as well as Airport Rules and Regulations. a TNC within fifty (50) feet. Application is activated while on Airport Property. a Director approved Geo-Fence as described in Section 4 of this Permit. County Board of Supervisors and listed in the Airport's Rules and Regulations. Passenger Pick-up Fees may be amended from time to time by the Board of Supervisors. amount of time (taking into account time of day and day of week). delinquent notices, increased accounting costs, and lost interest income. estimate of the costs that County will incur by reason of Permittee’s late payment. Law and/or CPUC Regulations as applicable. as part of the aforementioned costs incurred. Permittee to be true and correct, of all Report Data. Said report shall not be made public except as required by law. operations or activities on or about the Airport. negligence or willful misconduct of County. regardless of whether the TNC Vehicle is carrying a passenger. participate in the defense of the same to the extent of its own interest. Premises until such time as the Airport Director reinstates the Permit. COUNTY Executive Office (CEO)/Office of Risk Management. the County may terminate this Permit. in the state of California (California Admitted Carrier). the company’s performance and financial ratings. and subject to airport review for verification. $50,000 death/bodily injury per person. $100,000 death/bodily injury per incident. $200,000 excess liability per occurrence. 00 12, CA 00 20 or a substitute form providing liability coverage as broad. officers, employees, agents as Additional Insureds. the Permit, upon which the County may suspend or terminate this Permit. appropriate to adequately protect County. entitled to all legal remedies. matched passenger has exited Airport Property. Permit, inclusive of but not restricted to the payment of all considerations provided therein. not to renew said bond or bonds. Deposit to the full amount thereof. County any additional Security Deposit as may be required. the rules and regulations of the Airport. location of the Pick-up, the time the charter was scheduled. used by Permittee under this Permit, for any illegal purpose. Permittee in or on the Airport's premises. written notice upon Permittee to that effect. his/her designee) will act on this appeal within thirty (30) days of written request for appeal. Correspondence” section 29 of this Permit. in no way affect any other remedy available to County under law or equity. default in the terms, conditions and covenants herein. No advertising or solicitation of “TNC Services” shall occur on Airport Property. by contract or permit with the Airport. requirements for TNC operation in the State of California. revocation shall be accomplished by giving 24 hours prior written notice to the Permittee. to define or limit the scope of any provision of this Permit. covenant or condition herein contained. Government Code §§6250 et seq.). 29. Notice and Written Correspondence. Preside11t; or c) a11y Vice Preside11t. Fi11a11cial Officer; c) a11y Assista11t Secretary; or d) a11y Assista11t Treasurer. Driver id concatenated with the trip id. The assigned TCP number for Recipient. time in UTC using 24-hour clock. expressed as a positive or negative number. a. The web service shall use HTTPS protocol to submit all requests and posts. b. The web service shall allow HTTPS POST for all “pings” from Recipient. in § 4.5(e) in the Pilot Permit.